NOMADS Friday! And we are all glad it is Friday for us. Today began with clouds and mild temperatures. We ended the work day with rain, put all our stuff back in the truck in the rain, and the rain continues tonight. Hope it’s good sleeping weather. Max and Anne led devotion today and used the Seedbed Daily Text. Since today’s Seedbed and our other daily devotion both were very similar in thought and scripture, we decided that we needed to listen and use that for our discussion. For a treat this morning, Gary and Nancy brought us a fresh hot boudin king cake. 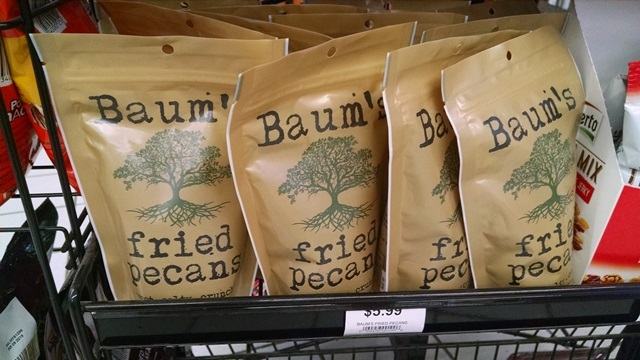 The locals say don’t ask what boudin is, but then say it is a pork and rice sausage. 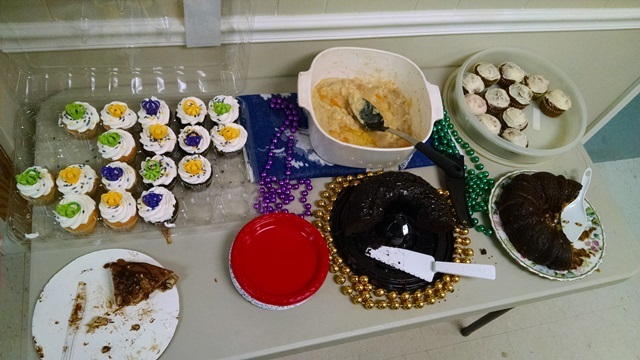 The king cake was very good with the pork filling and some maple syrup and bacon on top. A savory king cake vs all the sweet king cakes we have been eating. Nice. 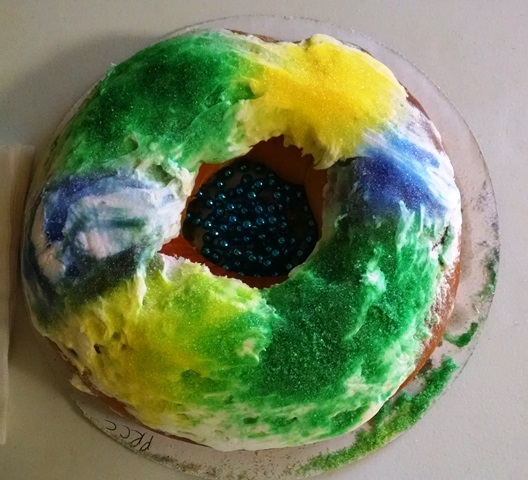 Only five more days of king cakes. They are very strict with king cakes. They are pulled from the shelf at 12:00 midnight Fat Tuesday (Mardis Gras) and won’t return until next year. No decadent king cakes during Lent. We are hoping we can go to a Mardis Gras parade tomorrow night. Please no rain! After our king cake and devotion we headed off to work. Rita and Dave, Anne, Nancy, Larry and Jean worked at Norwich all day. We have all pretty much decided we are very thankful we never had to support ourselves finishing drywall. We are happy to do it for others but would hire it done at our house unless it was a small repair. 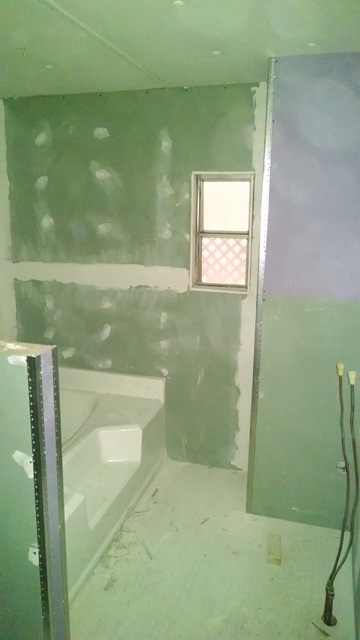 We finished the week with all the drywall with one coat of mud and tape. 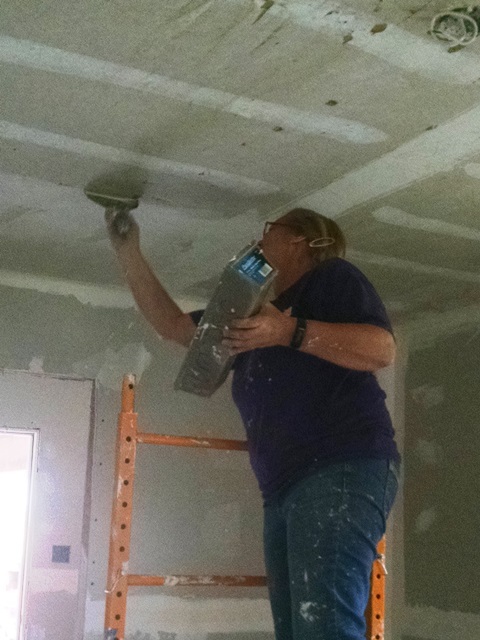 One bedroom has a second coat of mud. There was a lot of great work done. It will take us at least another week, maybe more. Max, Gary, Anne O., Lisa and Mark worked at Baker Drive. Gary installed lots of corner bead. 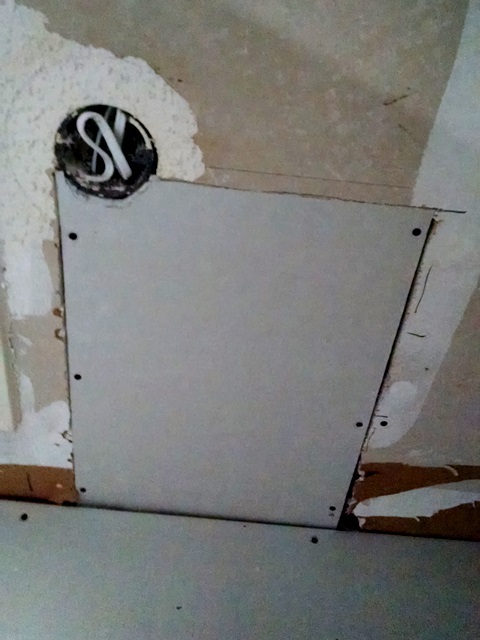 The rest installed drywall. 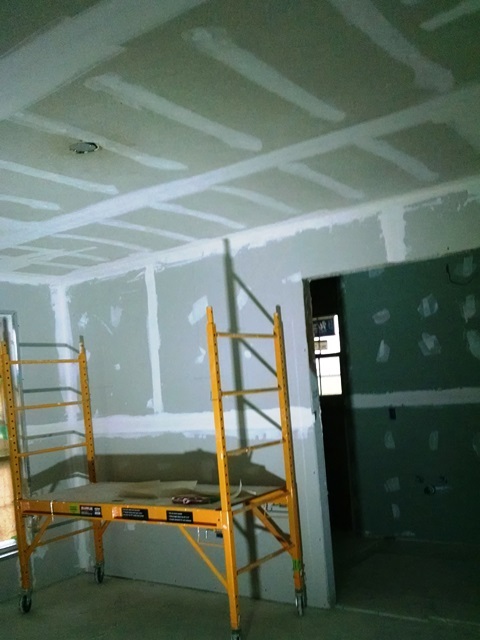 They are now almost complete on hanging drywall and will begin the taping and mudding Monday. There is a lot that needs second coating since we cleaned up what we inherited from another group and a smaller amount that will need first coat. The Baker Drive location is a trailer so not nearly as large as the Norwich home. Everyone was very tired at the end of today. No dinner tonight. Everyone wanted a hot bath and rest. We will see what we can get into this weekend. We had rain again today. It is so, so, so wet here. However, we had a gorgeous afternoon with blue skies, sunshine and puffy white clouds. Of course by 5:30 it was raining again. Strange weather. Anne O led us in devotion this morning. Bob did not join her because he is sick. The scripture today was Luke 6:36-50 and the devotion came from a devotion book Anne O’s Sunday School class uses. This one came from the 2013 book. Interesting. Max and Anne’s devotion this morning from Seedbed was from Luke 6:36-50. God really wanted us to hear this today. After devotion we headed back to our two houses to work. Since Bob is sick, Anne O stayed with him to get him in to see a doctor. Fortunately he was seen quickly at the Oschner “urgent care” facility. They felt he received very good care. We hope he is feeling better soon. Lisa and Mark went to the Baker Drive house to work with Max and Janet and Harry. They installed some headers for the doors they need to install, completed trimming out the bay window with 33 individual pieces of drywall that were individually cut, along with some other framing and drywall work. Making progress but seems slow. 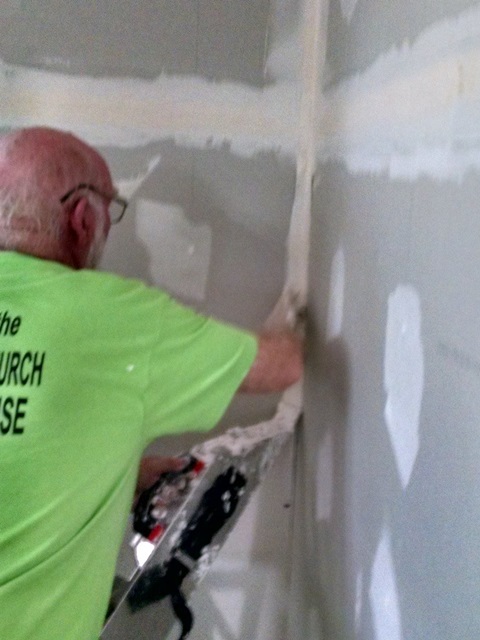 Out at Norwich the drywall finishing continued. 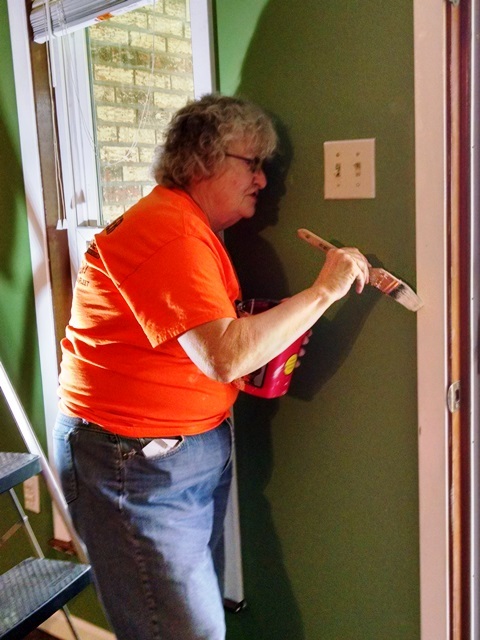 Rita worked on some taping and mudding of vertical seams while Nancy sanded and then applied a second coat of drywall compound (mud) in one of the bedrooms. It’s looking good. 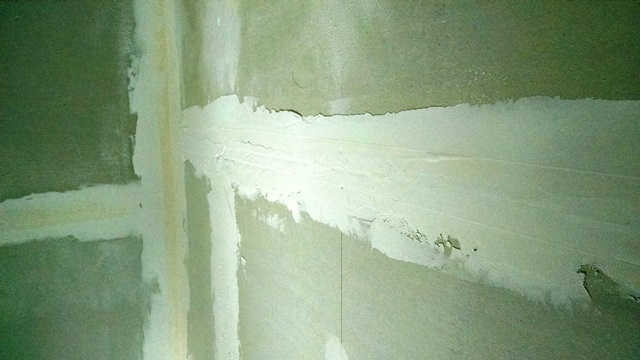 When the house at Norwich was mucked out after the flood, the removal of the drywall from the walls was not done very carefully resulting in significant damage to the ceilings. 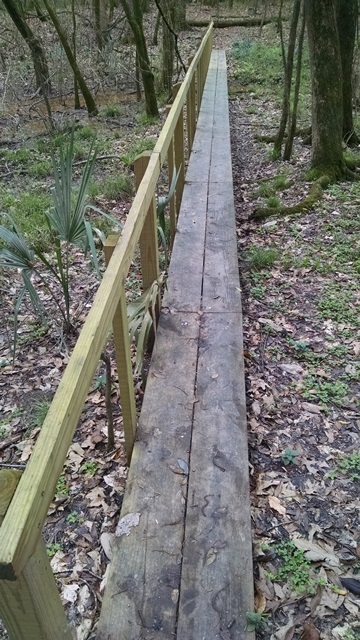 Jean has been working on the mudding/repairing the damaged areas. 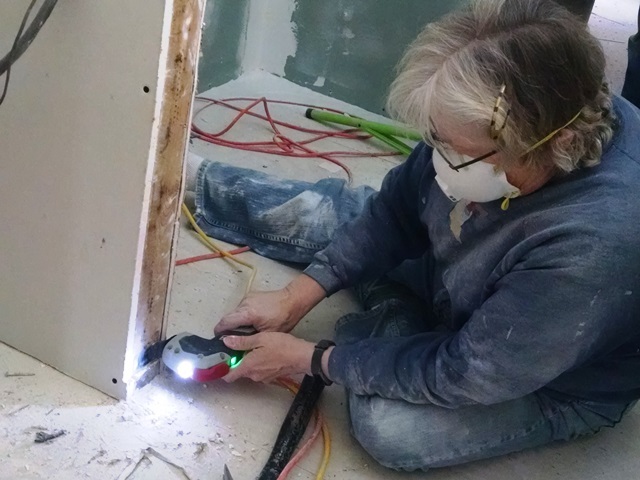 Rita also worked on patching some of the larger damaged areas. 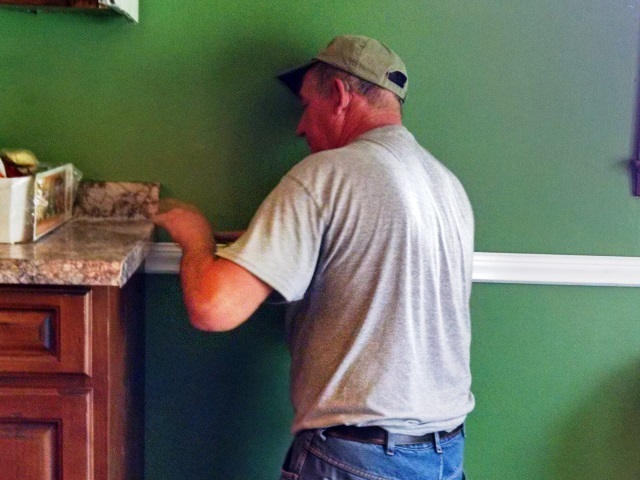 Gary was back at installing corner bead and Dave began learning how to apply mud while they were waiting for the new tub surround to arrive. 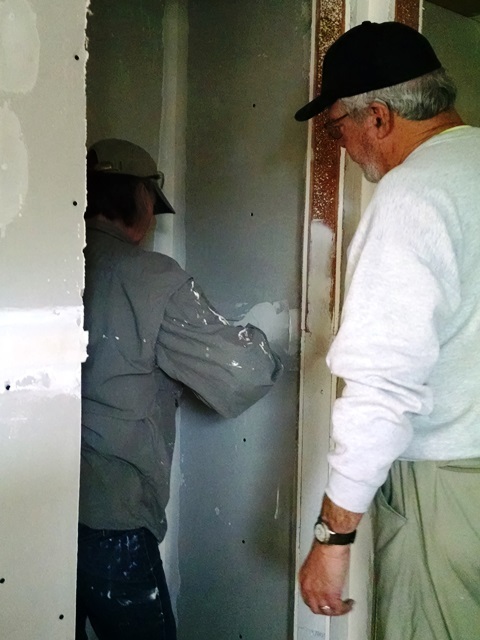 Once they got the surround they returned to work on completing the bathroom so the drywall could be installed there. 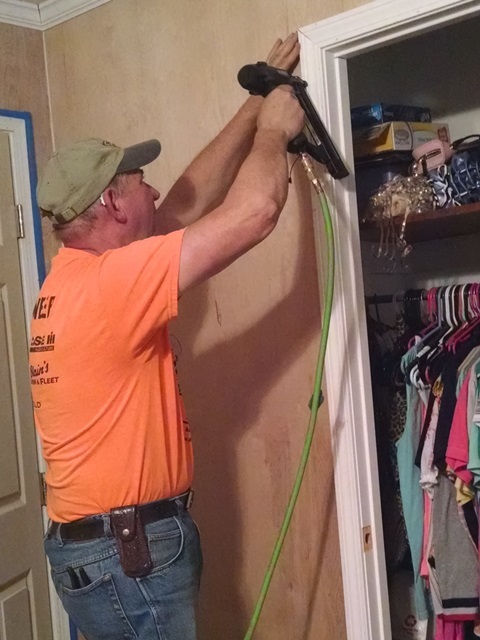 Larry and Anne spent the day taping and mudding the horizontal seams where the ceiling and walls meet. They completed the large family room and the kitchen and dining room today. Again, making good progress but there is still so much to do. We were all really tired again this afternoon so we all ordered pizza and had it delivered so no one had to cook dinner tonight. We had a fun time with the team all together for dinner. Another good day in Baton Rouge. BTW, it’s raining again. As predicted last night was a rainy night and today a cloudy and sometimes rainy day. 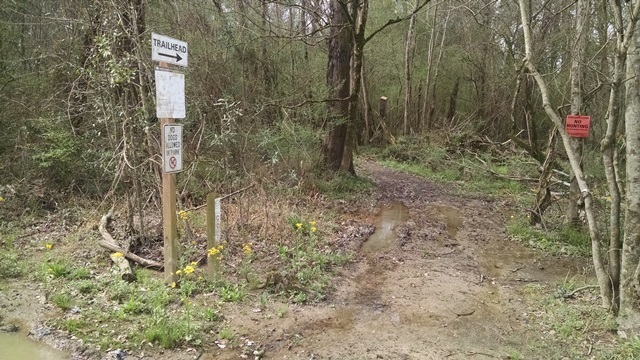 We haven’t had anywhere near the rain Alabama has received but the soil here is so saturated that you just squish walking on anything but pavement. Today’s devotion was brought by Nancy and Gary. Nancy used a devotion from the Upper Room with the scripture Isaiah 43:2. The devotion was written by someone here in Baton Rouge who lived through the August 2016 flood. He wrote about how he felt when people from all over the country sent relief items, and came personally to help. He stated that “recovery is a long slow process but God worked through strangers to help us recover.” He is still working that way today. We all headed back to our jobs of yesterday. 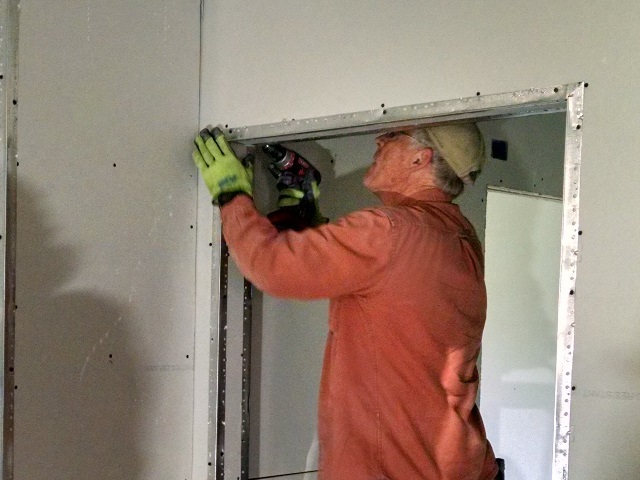 The group working on Baker Drive continued to sand the last of the drywall and prepare the walls for finishing. 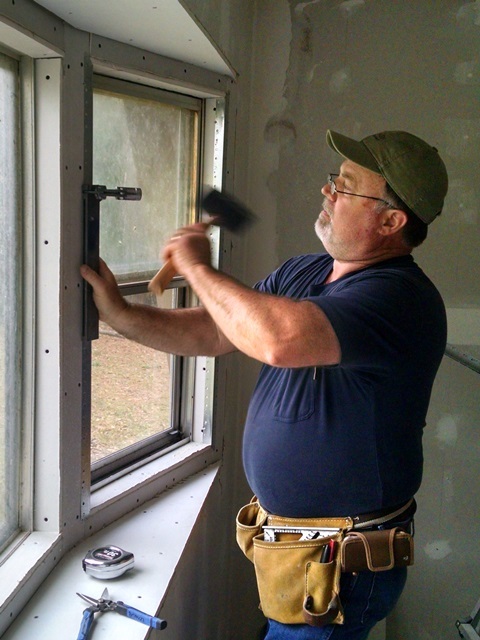 They also cut and installed the drywall around the windows. That was a bunch of small pieces. 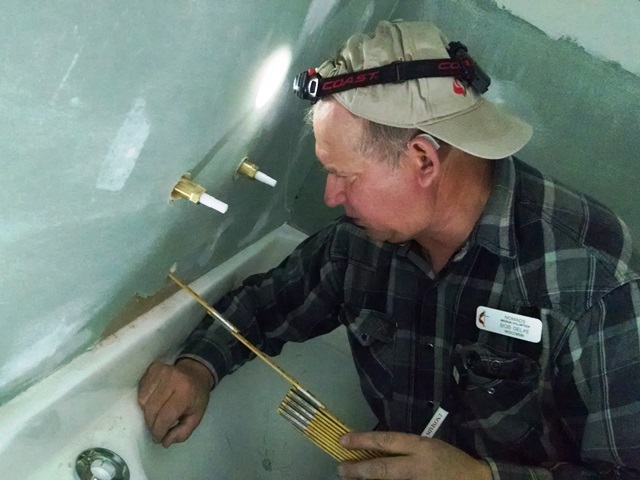 Bob also got the plumbing installed for the tub. Max, Bob, Anne O, Janet and Harry were tired and dusty when they got home today. 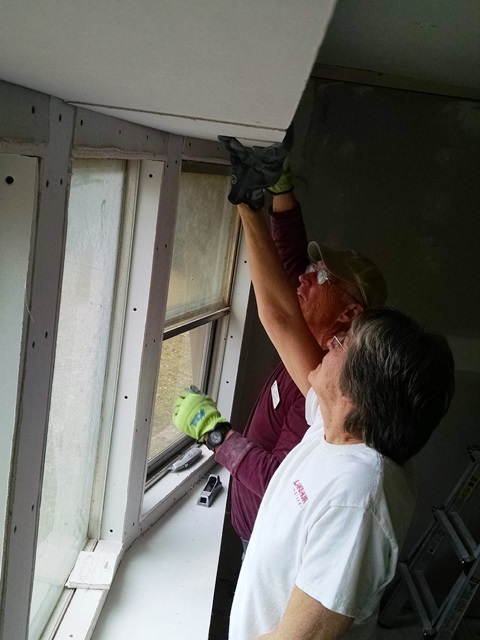 The group working the Norwich house installed more drywall tape and mud. And more and more and more. Tomorrow we will be doing more. However, the most important news is that Gary and Dave got the toilet installed in the hall bathroom today!! No more going to the Texaco. The team is very happy! The tub was also installed today. Our corner bead was delivered and we began installing that as well. 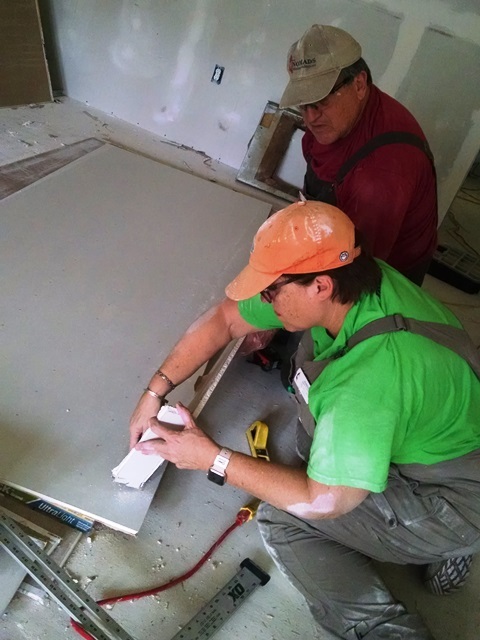 Jean, Larry, Anne, Rita, Dave, Lisa, Mark, Nancy and Gary were tired and covered in drywall mud when they got home today. It was showers, something to eat and bed that most interested everyone tonight. Today was a cooler day with increasing cloudiness as the day progressed. It was pretty enough to sit outside for breaks and lunch but was getting cool again by the time we got home. Tonight it is raining again and is now predicted everyday for the next 10 days. Well, we enjoyed the little sun we had today. when I saw it, but I really didn’t know Him. scared,” He’d lean back and touch my hand. their gifts to take on my journey, my Lord’s and mine. Thanks so much, Harry and Janet. Great job. After devotion we discussed our work plans and headed out to work. Max lead a team of Bob, Anne, Janet and Harry to the new job on Baker Drive. Anne, Dave, Rita, Mark, Lisa, Larry, Jean, Gary and Nancy went to Norwich Drive. 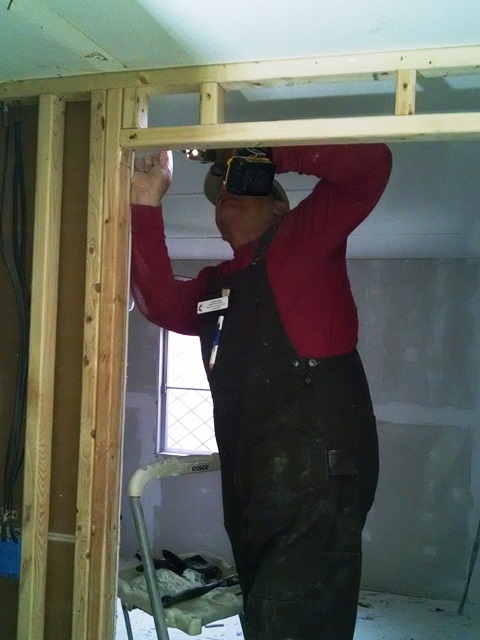 Everyone was working in drywall and plumbing today at both houses. 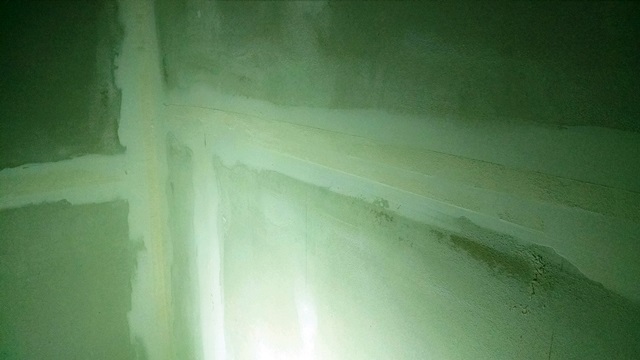 There was drywall compound, and tape enough for everyone along with some plumbing of bathtubs at both houses. Good progress was made at both but there is still a long way to go. Hard work and we are all tired this evening. Lucky for us the church had a dinner for us tonight. The food was wonderful and the congregation so friendly and kind. Good night for everyone to get a night off from cooking. Everyone will be early to bed tonight and ready to go again tomorrow. On Friday we stayed in and worked around FRED and rested – trying to get over a persistent cough we both have. 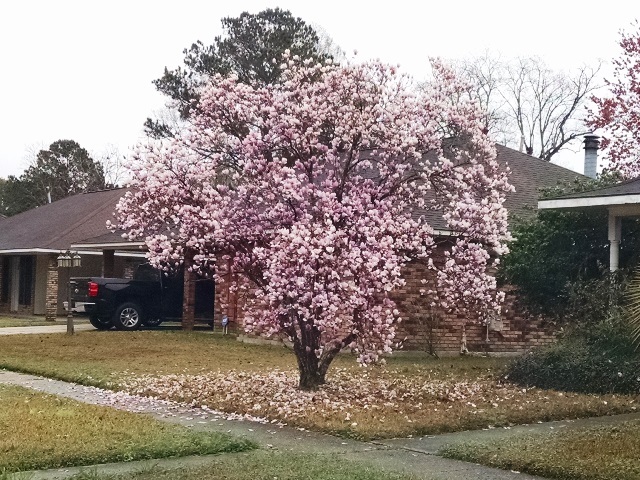 Possibly contributed to by the daily pollen alerts we get here. We did get out long enough to go to the grocery store and pick up a pizza. On Saturday we were a little more active. 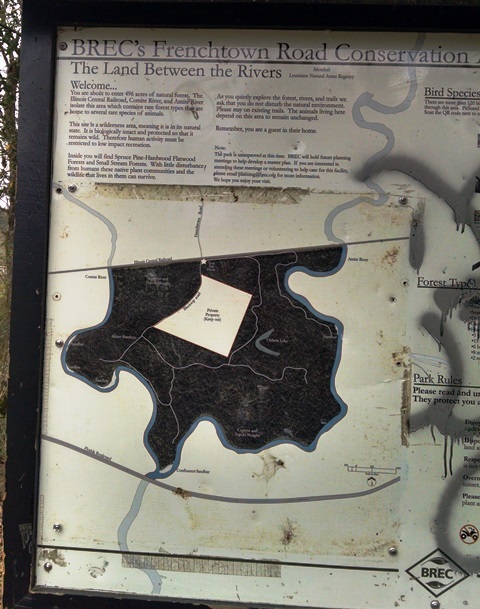 While Anne worked on NOMADS Board business, Max drove out to check out the trails at the Frenchtown Road Conservation Area which is about 15 minutes away. 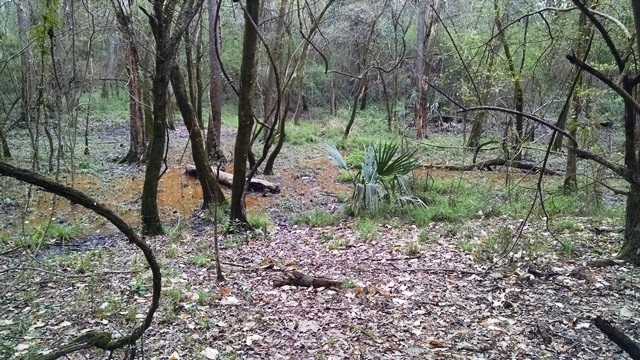 It looks like it might be a fun place to hike when it is drier. Later we drove to Forest Community Park and walked for a while on the concrete sidewalks. Not exactly our favorite hiking environment but better than mud. Today the team attended church at Francis Asbury UMC again. It’s always good to be with this welcoming congregation. After service the team went out to eat at City Café again. Unfortunately, this time we had to wait a good while for a table for 12. About 3:30 pm Lisa and Mark arrived – completing our team for the next two weeks. It was great to see them again. Today started as a cool, damp, cloudy day. It ended bright and sunny. At least for a little while. The forecast for Friday and Saturday doesn’t look too good but maybe we will see some sunshine. Today was a very busy day. Of course we started with devotion, today led by Dave and Rita. It was taken from Upper Room with basis in John 1:1-18. The light of Jesus shines through all of time. We were reminded to let His light shine though us. 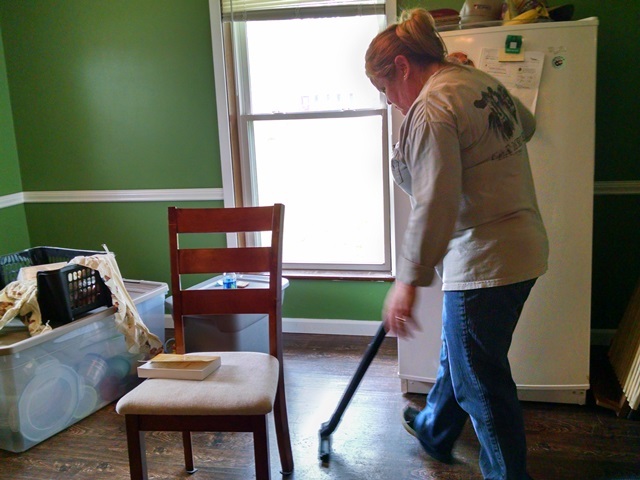 We were reminded as NOMADS we do that with our interactions with our homeowners. Thanks, Dave and Rita! 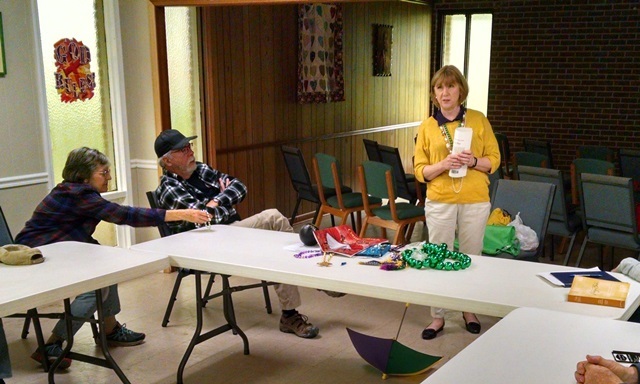 After devotion we had a guest, Kyle, come speak to us about Mardi Gras. 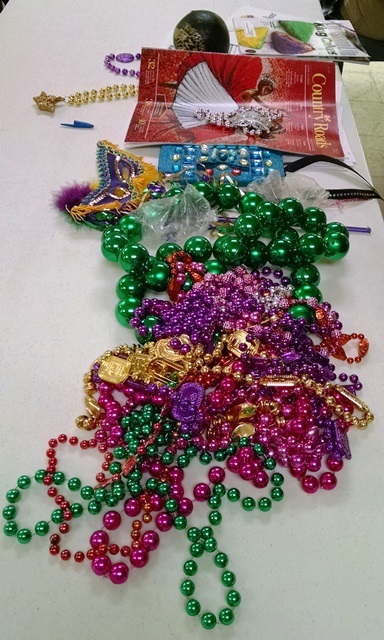 We learned a lot about the Krewes, the parades – the family friendly and the not so family friendly – the trinkets that are thrown and the general time of celebration. We really appreciate all the beads Kyle brought to us. Wish we had a scale to weight the huge bag she left us. We learned a lot. There is a really good night parade scheduled for tomorrow night. We will see what the weather does. We would love to go but not enough to stand out in the rain for 3-4 hours. We then all headed back to our job sites. 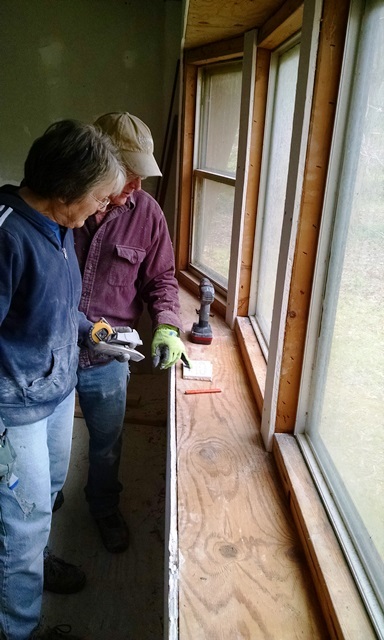 Anne, Anne, Bob, Gary and Nancy work to complete Clyde and Paula’s house. 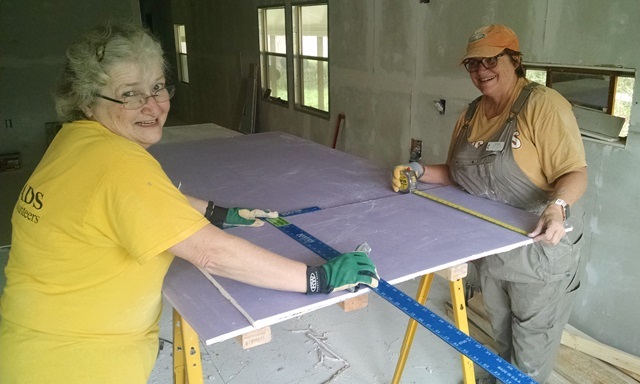 Anne and Nancy installed the last two pieces of base and did some caulking in various places around the house. 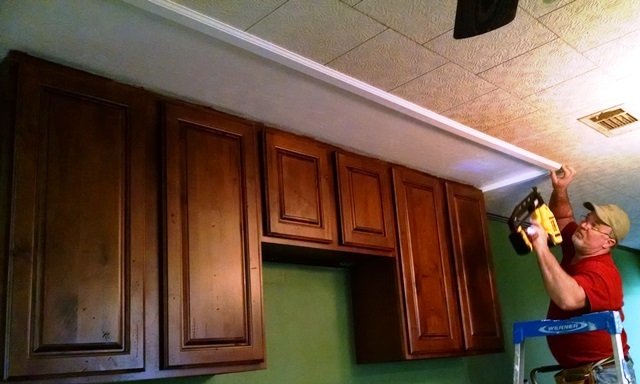 Gary installed the range hood. 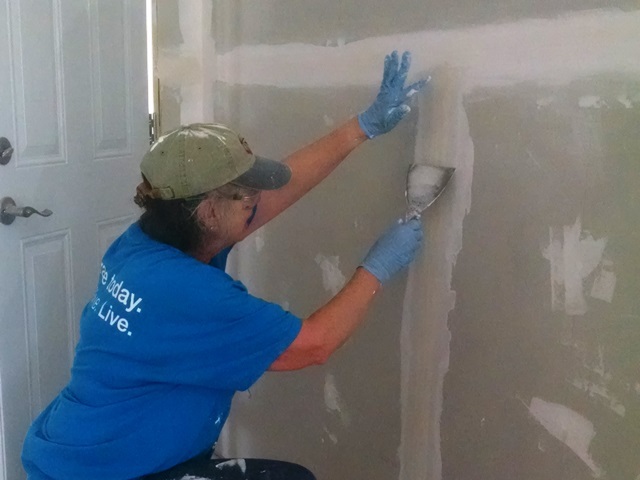 Anne completed and painted the area of drywall that had been a problem. 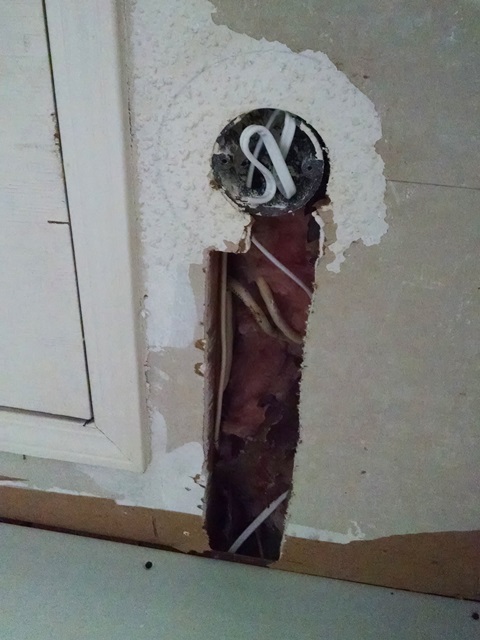 The last door knob was installed and we all worked on the end caps for the kitchen counter. Once everything was complete we had a prayer circle with the family and team and the Bible presentation. This is always such a special time. Yes, there were a few tears. As we told the family, we will be praying for them and will keep them in our hearts forever. 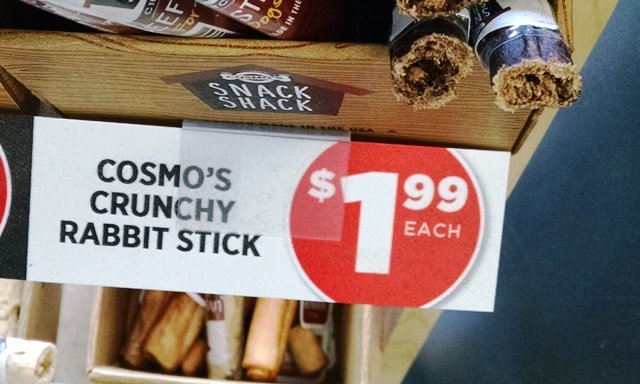 It was shortly after lunch when we finished up. We loaded of the tool and supply trailer and helped get it back to the church. 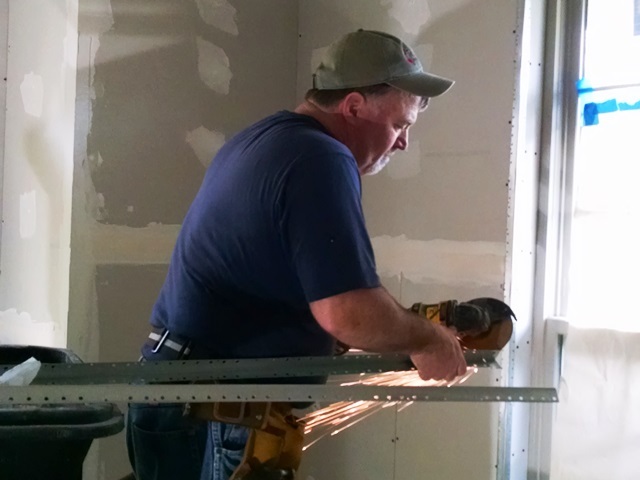 We then headed over to the drywall house with the rest of the team. We started filling in where we would help as well as just helping with the clean up. 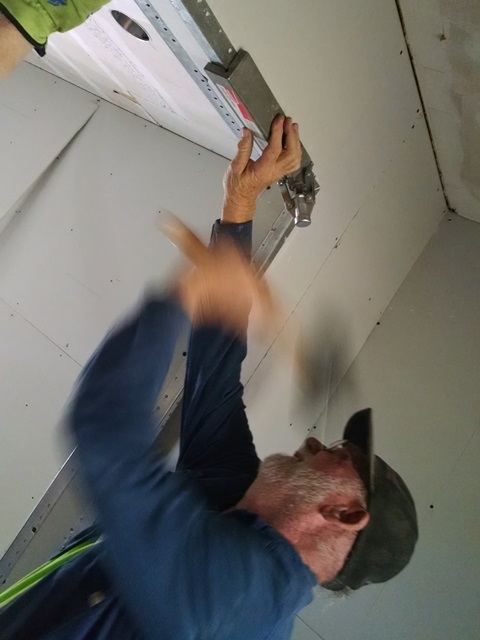 The drywall is almost complete and as much of the corner bead we had on hand was installed. The joint compound was delivered today and guess we will start the finishing next week. After work, Max and Anne went to view another job site that some of us will begin on Monday. It will be another big job. 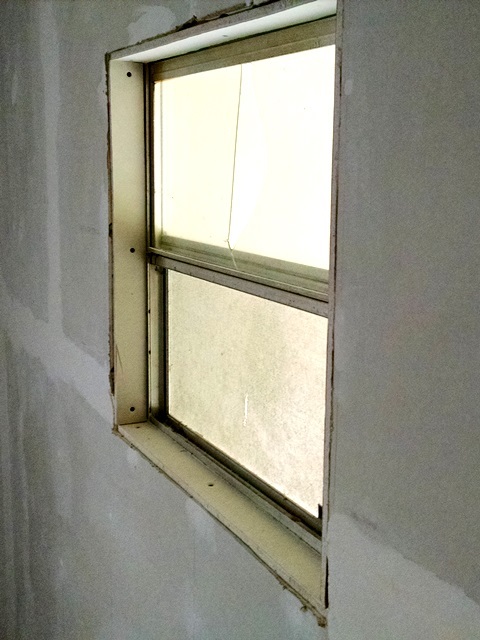 Most of the large pieces of drywall are up but all the windows need trimmed out and then some scattered other work, and the finishing was started but now needs lots of sanding. This one will not be completed in a week. It was a very good week! Today was an on again, off again rainy day. We are again where the ground is just staying soggy. There are beautiful flowers. Janet and Harry led devotion this morning. 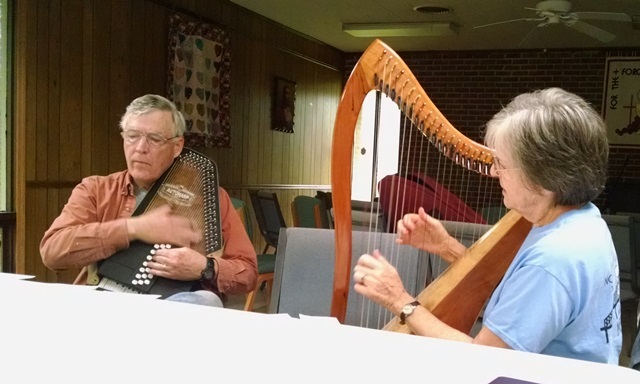 Janet plays a harp and Harry joins in on the autoharp. We really appreciate the added dimension to our devotions. They used Luke 18:17-18 as the basis to talk about the song “Jesus Loves Me.” The song was first written to comfort a dying child. 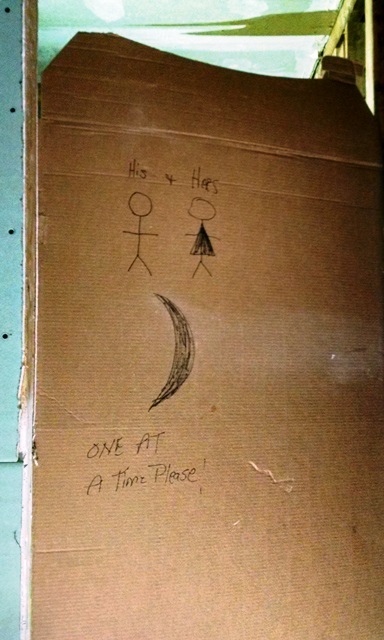 Sometimes we just make things so complicated. We need that child-like faith. Thanks, Harry and Janet! We again all headed back to our usual job sites. We hope to finish the St. Amant house tomorrow. Today, Bob got the last door hung and trimmed out. All the crown molding is now in place. We have just two more pieces of base to install. Thanks, Nancy and Gary. So thankful Nancy is feeling so much better. Thanks for all you prayers. 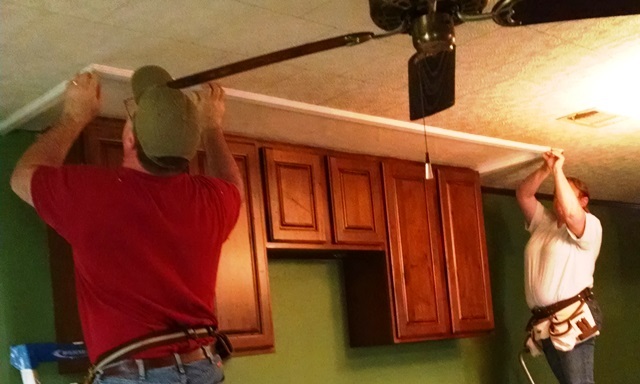 Anne, Nancy and Gary worked on the kitchen ceiling and we are very pleased with how that turned out. Anne A painted the master bath border, and removed more tape in the other bath. 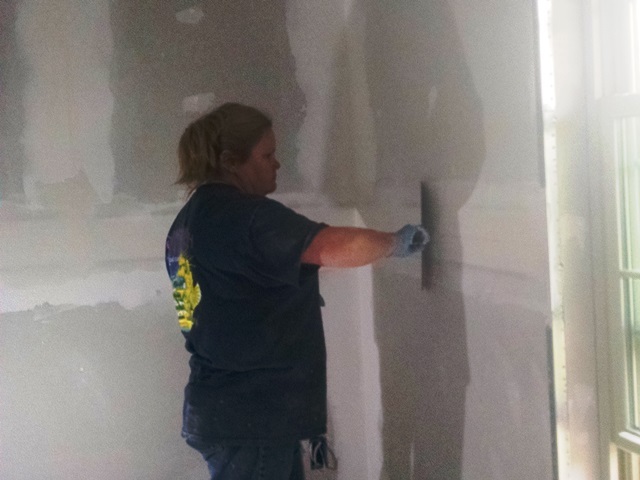 Anne O did a great job on a problem drywall located in the kitchen. It should be ready to paint tomorrow. We all are feeling good about this job. The family will be so glad to have their home back. 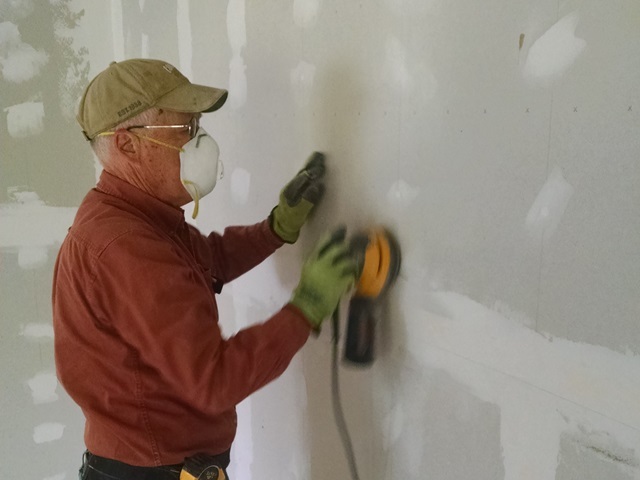 Max and the drywall team of Jean, Larry, Rita, Dave, Janet and Harry did just that. 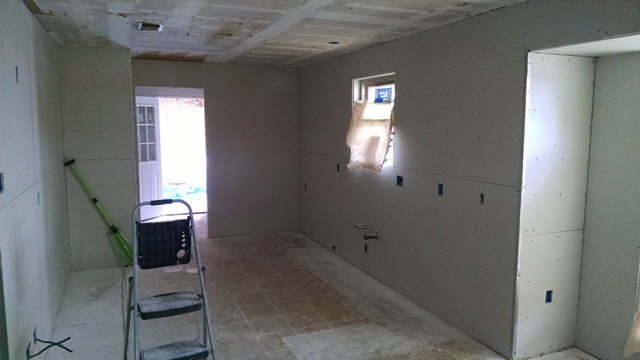 Installed lots of drywall. They have a system down now and can really work as teams to get it in place. Max worked on patching holes in the ceiling. 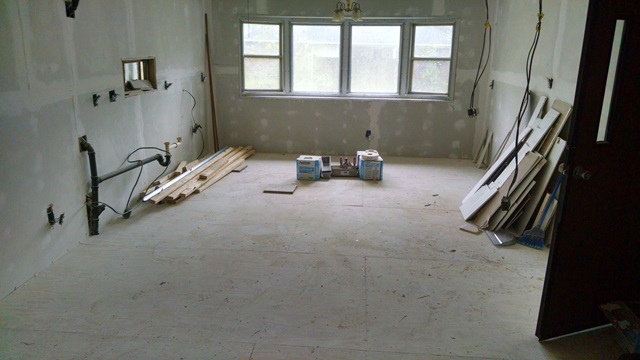 The dining room and bathrooms are about all that is left to hang. Of course since our scope has expanded to include finishing the drywall and installing the bathtub and handicap shower we will be there a while longer. We are pleased that it is going so well. Rita bought us a delicious king cake after work so we got together for a few minutes this evening to enjoy that and just to visit. We have a great team this week. Hard working and so very talented. Praying we finish the week strong but most importantly with no injuries. 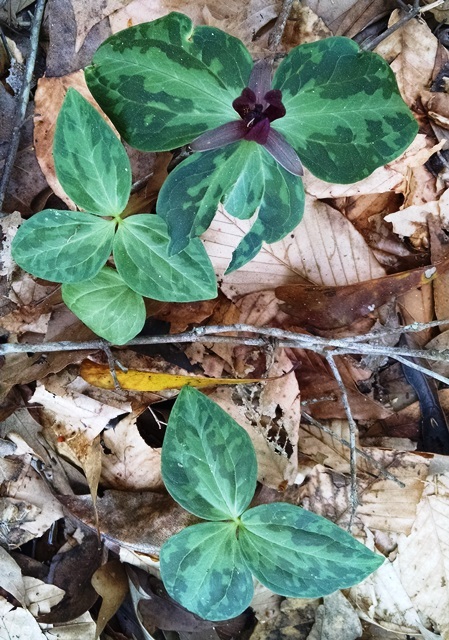 Author rvingwithapurposePosted on February 20, 2019 Leave a comment on Making More Progress!